Tunnel Studios is a small art collective, working from their Hackney Wick studio as individual artists/ designers and also do collaborative projects. Ola Kanczura is a graduate from Chelsea school of art and design specialising in spacial and interior design. Daisy Bentley is a graduate from Central St Martins specialising in experimental photography and printmaking. Throughout their work they have created movement-oriented and site-specific installations with the aim of telling stories through curious concepts and carefully chosen materiality. 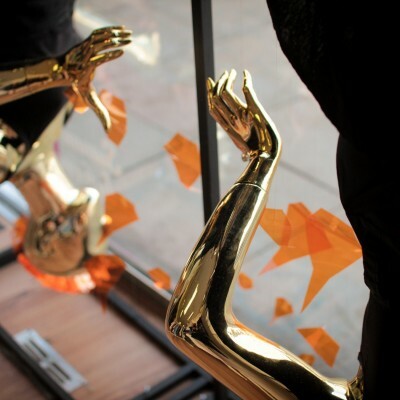 Tunnel Studios participated in the Camden Create festival creating a shop window installation ‘Summer Inferno’.